An e-book reader is similar in form to a tablet computer. A tablet computer typically has a faster screen capable of higher refresh rates which makes it more suitable for interaction. Tablet computers also are more versatile, allowing one to consume multiple types of content, as well as create it. The main advantages of e-book readers are better readability of their screens, especially in bright sunlight, and longer battery life. This is achieved by using electronic paper technology to display content to readers. Commercially sold electronic paper is mostly available in black and white (16 shades of gray). 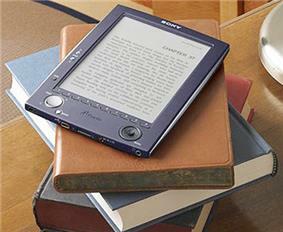 The Sony Librie, released in 2004 and the precursor to the Sony Reader, was the first ebook using electronic paper. The first color e-book reader on the market was the Ectaco jetBook Color, with a 9.7" screen, though its muted colors have been criticized. Many e-book readers can use the internet through Wi-Fi and the built-in software sometimes provides a link to a digital OPDS Library or e-book seller, allowing the user to buy, borrow, and receive digital e-books free through this library or seller. In this way, the books owned by the user are managed in the cloud, and the e-book reader is able to download material from any location. 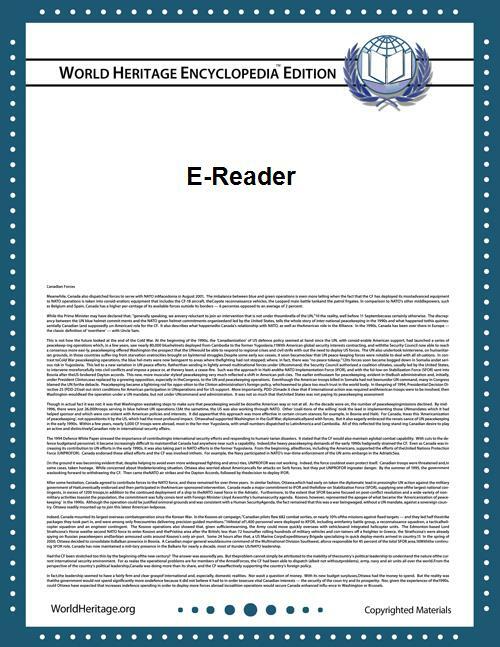 An e-book reader may also download material from a computer or read it from a memory card. Many of the major book retailers and third-party developers offer free (or premium or ad-paid) eReader applications for desktops, tablets and mobile devices, to allow the reading of eBooks and other documents independently of dedicated e-book devices. Research released in March 2011 indicated that e-books and e-book readers are more popular with the older generation than the younger generation in the UK. The survey carried out by Silver Poll found that around 6% of over-55s owned an e-book reader compared with just 5% of 18-to-24-year-olds. According to an IDC study from March 2011, sales for all e-book readers worldwide rose to 12.8 million in 2010; 48% of them were Amazon Kindles, followed by Barnes & Noble Nooks, Pandigital, Hanvon and Sony Readers (about 800,000 units for 2010). However 2012 saw a 26% decline in sales worldwide from a maximum of 23.2 million in 2011, although Kindle sales remain strong. The reason given for this "alarmingly precipitous decline" is the rise of more general purpose tablets that provide e-books along with other apps in a similar form factor. In 2013, ABI Research claimed that the decline in the e-reader market was due to the aging of the customer base. An idea similar to that of an e-reader is described in a 1930 manifesto written by Bob Brown titled The Readies, which describes "a simple reading machine which I can carry or move around, attach to any old electric light plug and read hundred-thousand-word novels in 10 minutes". His hypothetical machine would use a microfilm-style ribbon of miniaturised text which could be scrolled past a magnifying glass, and would allow the reader to adjust the type size. He envisioned that eventually words could be "recorded directly on the palpitating ether". ^ Ray, C. Claiborne (October 24, 2011). "The Weight of Memory". ^ Falcone, John (December 17, 2012) [originally published July 6, 2010]. "Kindle vs. Nook vs. iPad: Which e-book reader should you buy?". ^ "Nearly 18 Million Media Tablets Shipped in 2010 with Apple Capturing 83% Share; eReader Shipments Quadrupled to More Than 12 Million" (Press release). ^ Tibken, Shara (December 12, 2012). "RIP e-book readers? Rise of tablets drives e-reader drop". ^ Smith, Tony (25 January 2013). "Tablets aren't killing e‐readers, it's clog-popping wrinklies – analyst". ^ Brown, Robert "Bob" (2009). Saper, Craig J., ed. The Readies. Literature by Design: British and American Books 1880–1930. Houston: Rice University Press. ^ Schuessler, Jennifer (2010-04-08). "Bob Brown, Godfather of the E-Reader".